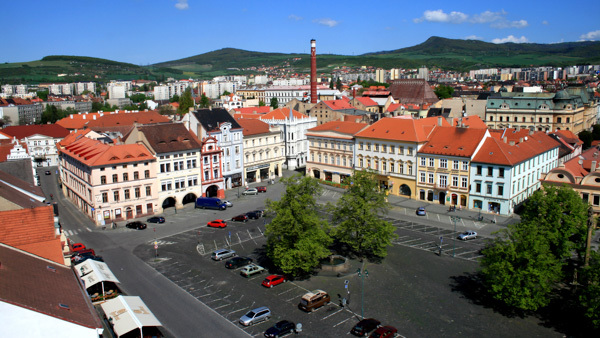 Litomerice is among the oldest cities in the Czech Republic. It was founded at the beginning of the 13th century. The rulers ordered to erect a hail on one of the highest hills – Stepansky and soon a settlement appeared here. In addition, it is believed that the construction of the residence was completed by 1096. Now many historians consider this date to be the foundation of the town. 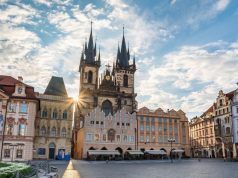 The city as a destination point in the Czech Republic is quite popular, but you would not be bored with tourist groups and crowds of people. It is rather small city with total population about 25 000. If you love old historic places, it is worth visiting. In 1950 the center was listed as one of the monuments of the state. 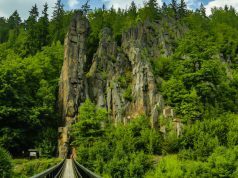 The Czechs call the city “the gateway to the Czech Republic” or “Porta Bohemica”. 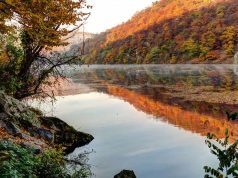 The city lies at the confluence of two rivers Ohře and Labe and has quite a long history. 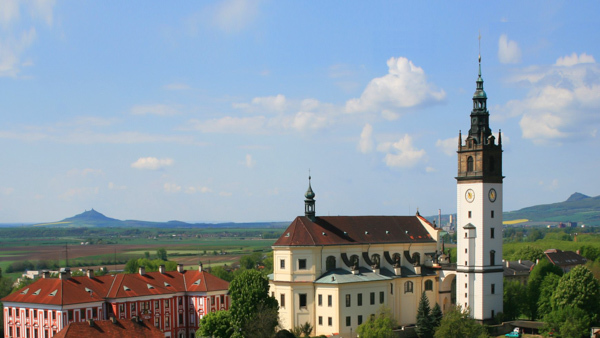 It got the status of the city right after Prague, which makes it the second city in the whole Czech state. 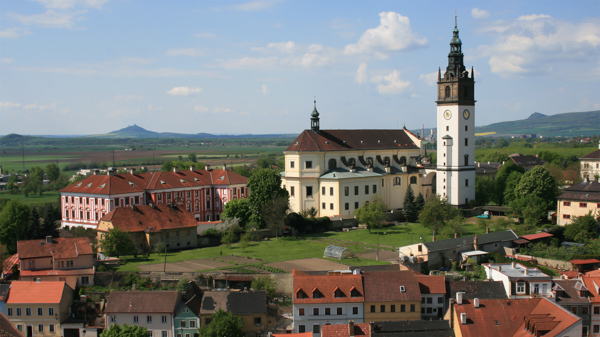 The first settlements of Litomerice appeared in the 7th century. In the 10th century there was already a well fortified fortress, called Hradek. One of the representatives of the genus Přemyslitsy Boleslav I did everything possible to exalt and strengthen Litomerice. 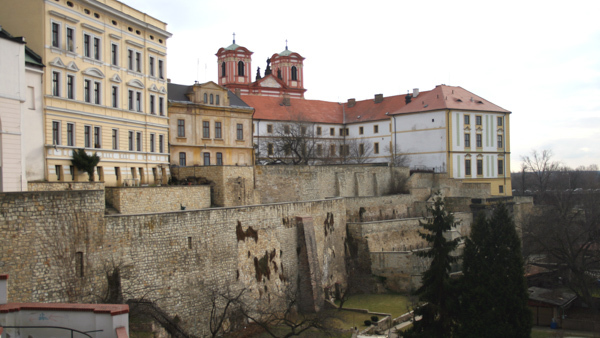 The Czech kings did not lived in local places, however other officials ruled on their behalf. The city received its name in honor of one of them. 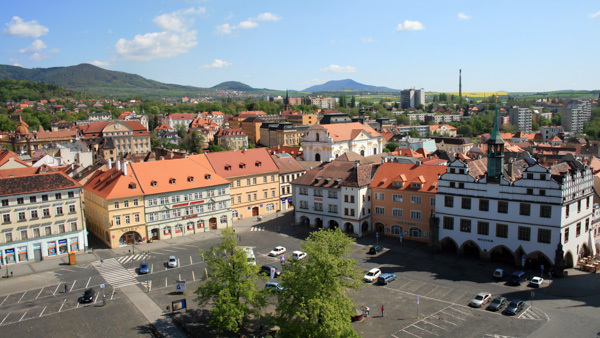 As many other towns in Czechia, Litomerice arose around the main square – Mirove Namesti which was a trading center at that time. In addition there you will see a plague column of the 17th century and many old buildings with almost no reconstruction. 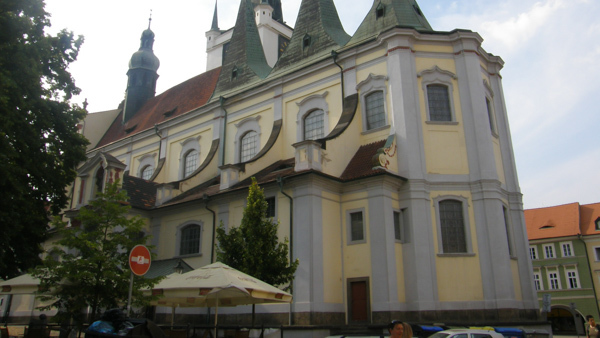 Several sacral buildings also face the square: the monastery of Minorites, which includes the Church of St. James, and the Church of All Saints, erected in 1235. From the first years of the city this main square became the center of the local economic life. For over 600 years it housed the main city market and this tradition continued up to the 21st century. Nowadays it hosts an annual largest regional agricultural fair. As any other old square this one has two fountains. At past times it was a common thing for every trade market squares. 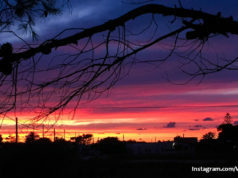 Moreover, many sights are also located there. The total area is about 2 hectares and there are lots of interesting things to see. Most of the houses that form the square are of Gothic style. Therefore, if you love architecture you will find features of other architectural styles – from the Gothic to the modern. Pay attention to the city’s administration, while it is located in two houses of the 16th century. Interesting fact, the Czech lands were really popular place for living among Italian artists. Hence there are many houses representing their style. 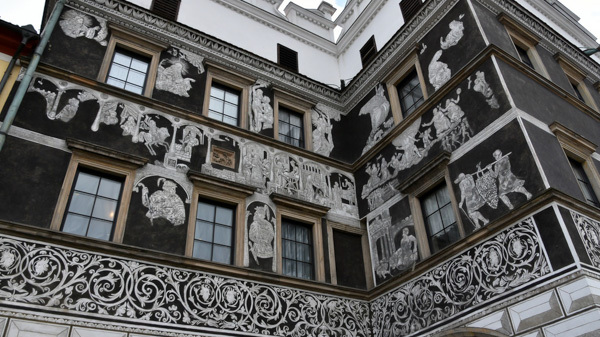 In Litoměřice there is a renaissance house “At the Black Eagle” decorated with plaster, made in the sgraffito technique. However, Italian masters distributed this technique of decorating not only in the Czech Republic, but all over Europe. This house is also interesting because there is an entrance to the city dungeons that served as a storehouse of food and shelter in case of fire or war in the past. The local call it the White Church. The very first mentioning of this place dates back to the documents of the 12-13th centuries. But as any other old building it was reconstructed several times later. Domsky hill is a place which in the past housed a hail of Czech rulers. The most common fact is that it was founded in 1096, but there was nothing left of these buildings. Now tourists can see the remaining of the 13th century’s buildings. 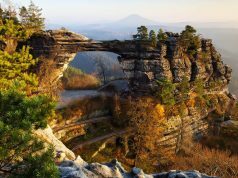 It was raised in the 13th century during the reign of Przemysl Otakar II. But some time later Charles IV rebuilt and expanded it. The king visited the castle a couple of times and it also makes it famous nowadays. During one of his visits, he signed a document on the granting of the hill to the town of Radoalil on the condition that grapes would be grown here. From that moment the wine-making tradition in Litomerice was born. Now there you can also visit the city museum. The remaining of city fortifications date back to 1360-1380, unfortunately, the earlier ones did not survive. Their total length is about 1800 meters. From here you can enjoy a magnificent view of the Domsky Hill and the city. There is also a tower in the fortifications, preserved since the 16th century. Three hundred years later people rebuilt it, turning it into a house. The history of the Church of St. Wenceslas began in 1360’s. The Gothic temple was badly damaged during the Thirty Years’ War, so in the first half of the 18th century it was replaced by a new Baroque building. During the last reconstruction workers found here two tubes with documents about the construction of the first temple, description and some coins. Then the authorities decided to add a new capsule with modern data: photos of the church and the city, description of our time. 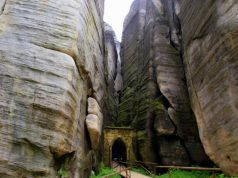 The temple is located on the Domsky hill and was built in 1057 by the order of Prince Spytignev II in Romanesque style. 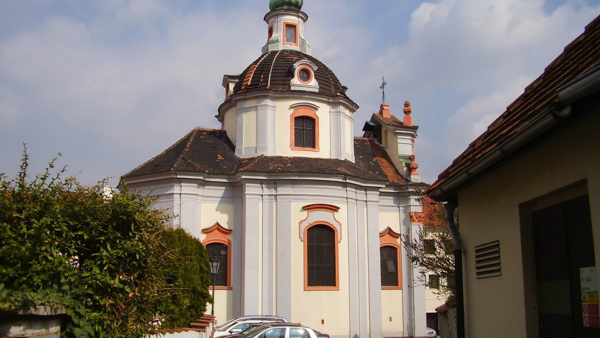 In 1664-68 years famous architect D. Orsi led the construction of a new baroque church. In 1881 the city also saw a modern 64 meters high bell tower. The cathedral is a three-nave basilica with six chapels. The interior of the church is decorated with carved decor, sculptures and numerous works of famous masters. It also served as the burial vault of several bishops. 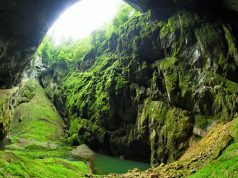 Near the Mirove Namesti you will find another popular attraction in Litomerice. Here is the entrance to the ancient dungeons. 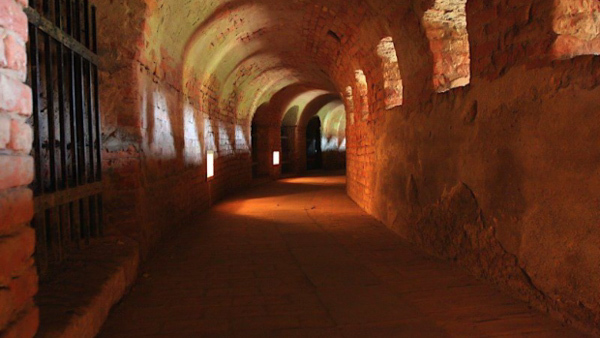 It consists of numerous tunnels with a length of more than 330 meters, connecting a number of halls, which used to store wine and food. In the days of the siege of the city, residents also found shelter here. Work hours: May – September: daily from 11 a.m. to 3 p.m. 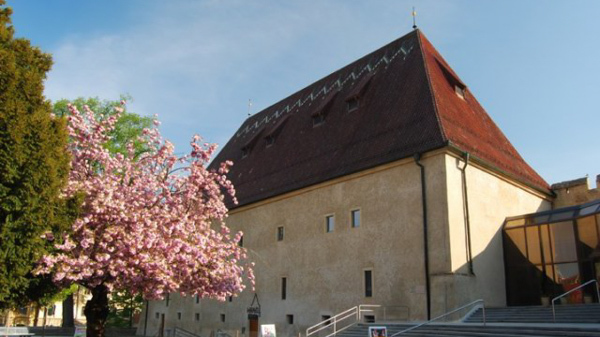 The museum of the Litomerice bishopric was established in 1885, but was open only to the servants of the church. For the public it was opened only in 1989. The museum occupies an ancient building of Gothic architecture with an arcade on the first floor. The time of construction of the original two-story building dates back to 1513. The museum collection includes the sculptures of the Evangelicals of the Romance period, the unique painting “Madonna and Child” (1495) by T. Sibylla and the works by L. Cranach the Elder, among which the image of St. Antony the Recluse. It also displays art of the Baroque period by A. Kern, B. Brown, K. Shkret. Part of the museum halls are reserved for demonstration of collections of arts and crafts. In a separate wooden building there is an exhibition of naive art of the 19-20th centuries, based on works by Czech artists and sculptors. April – September: Thursday – Sunday from 9 a.m. to 6 p.m.
October – March: Thursday – Sunday from 9 a.m. to 5 p.m. 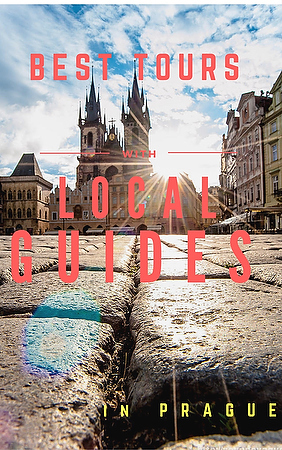 Here is the list of best restaurants in Litomerice where you can try amazing dishes from all over the world. But as you are in the Czech Republic, it is a must to try local cuisine. It will impress you, for sure. Wine Food Klaret (Address: Kostelní nám. 233). This city may require more than one day discovering all its sights and feeling the spirit. That is why pay attention to a place to stay and we will help you. 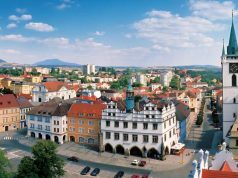 In these lists you will find the best hotels and apartments in Litomerice. Here is the useful information which will help you when looking how to get here. Check the time of bus and train departure and enjoy your trip! Take the Line 369 bus and you will get to Litomerice in 2.43 hours. At the station Nádraží Holešovice take the metro line C to the station Ládví. From here, take the bus line 369 to Mělník,Aut.station and then take train to Litomerice. 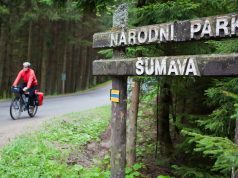 The route will take approximately 1.30 hours and the tickets will cost about 5-8 Euro. Trains depart from Praha Masarykovo station every hour. Change the train at the Lovosice station to the train to Litomerice horni station. Here you will get more info about schedule and prices – Czech Railways. 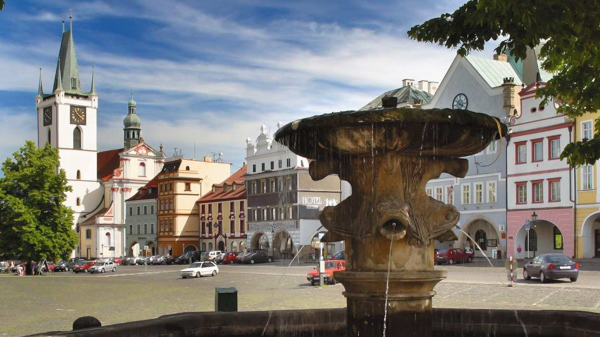 You can also book a transfer from Prague to Litoměřice from the hotel or airport. The cost is about 85-110 Euro. In addition, you can rent a car which is the best way. The distance is 70 kilometers so you will make it in 50 minutes. 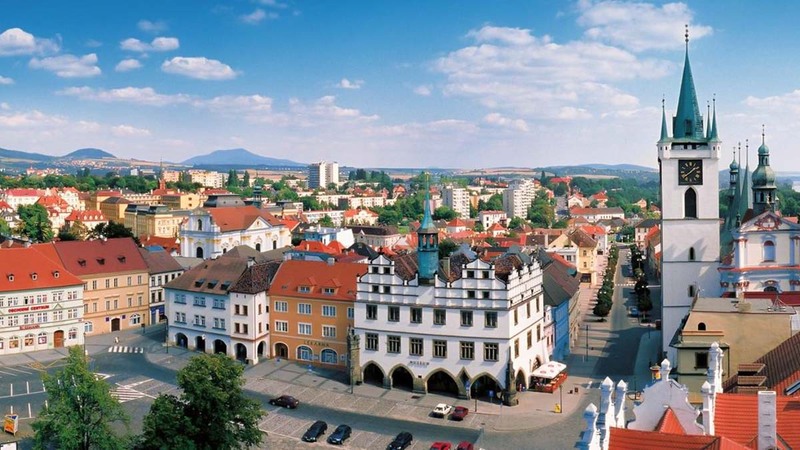 Being one of the oldest Czech cities, Litomerice represents a small and cozy place where you can spend a wonderful time strolling through the ancient streets and constantly discovering new facets of Czech history and culture. 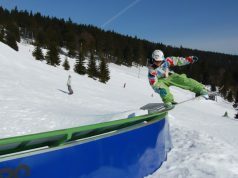 We also provide tours with local guides so you can get incredible time and feel it like a local. 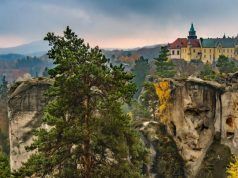 If you love architecture and want to explore Czechia from a completely different side, this is a chance to find out how it lives outside big cities like Prague. 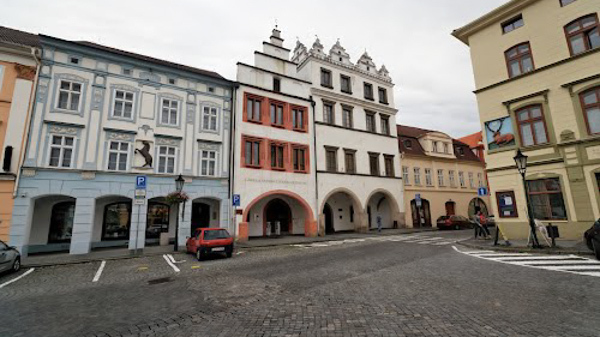 Hope that this article will help you to discover Litomerice in full! Prague expert, photographer, guide and traveler. Love every of 100 spires in Prague.